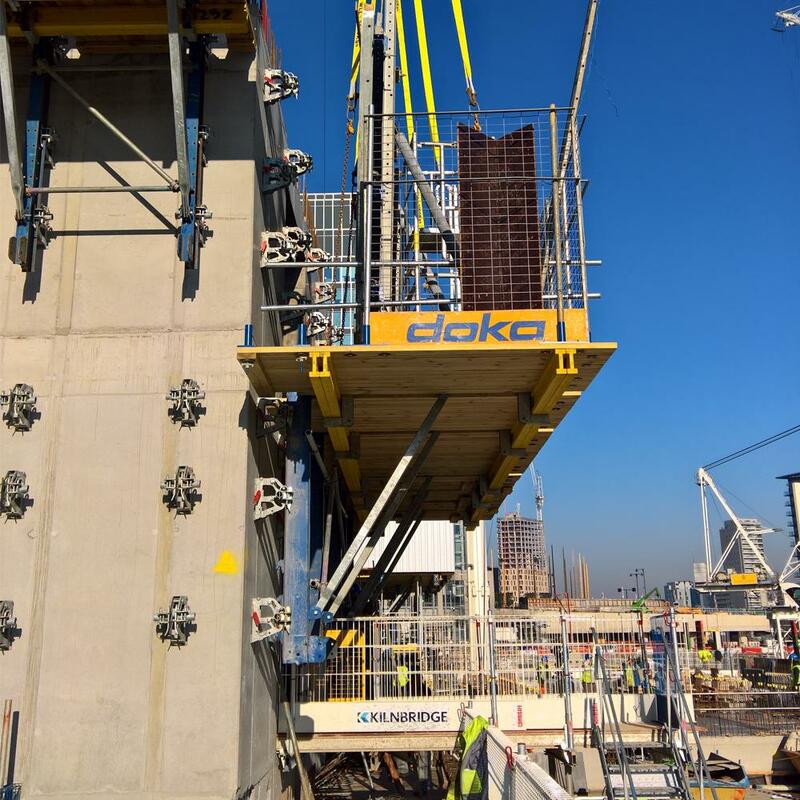 Kilnbridge Construction Services Limited select Doka for their formwork requirements at Wood Wharf A2 / A3 - soon to be Canary Wharf's first ever residential development. 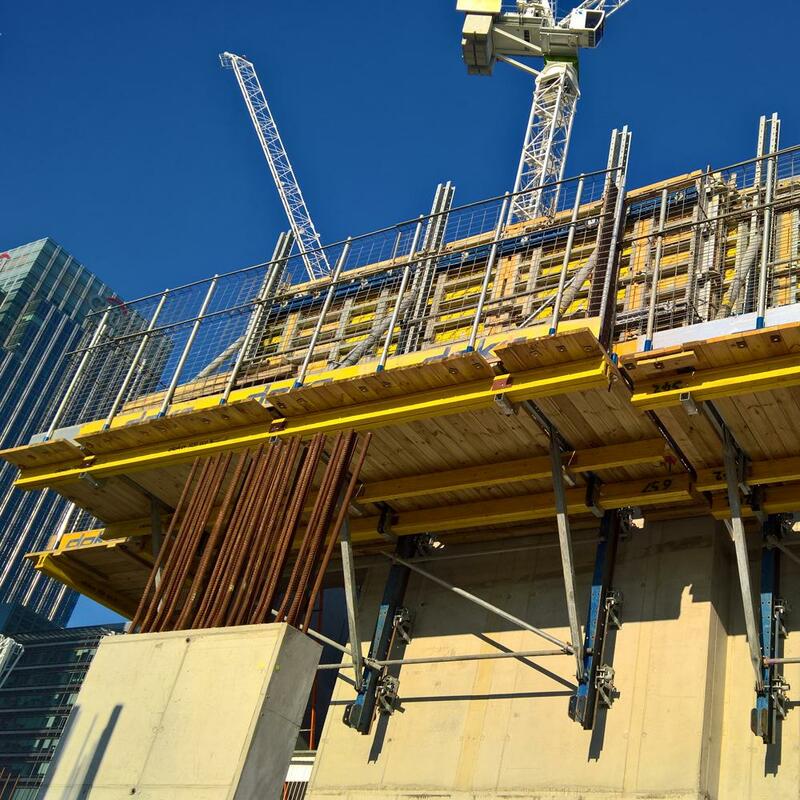 The scope of works involves the construction of the common basement and medium to high-rise structures with an overall RC footprint of over 65,000m2. 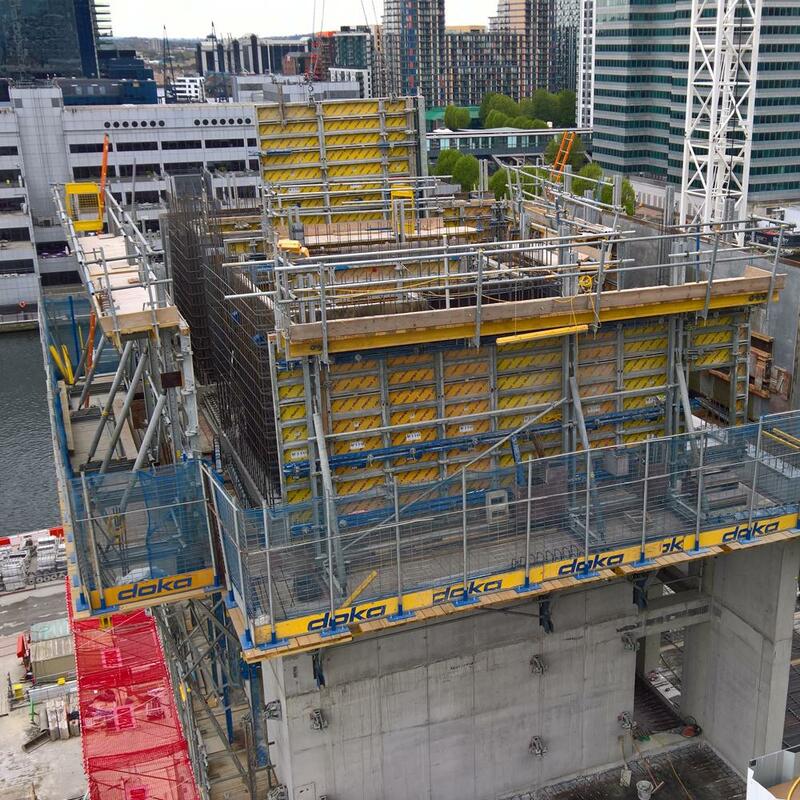 Building A2 comprises of 14 floors and Building A3 comprises a further 44 floors of concrete frame. 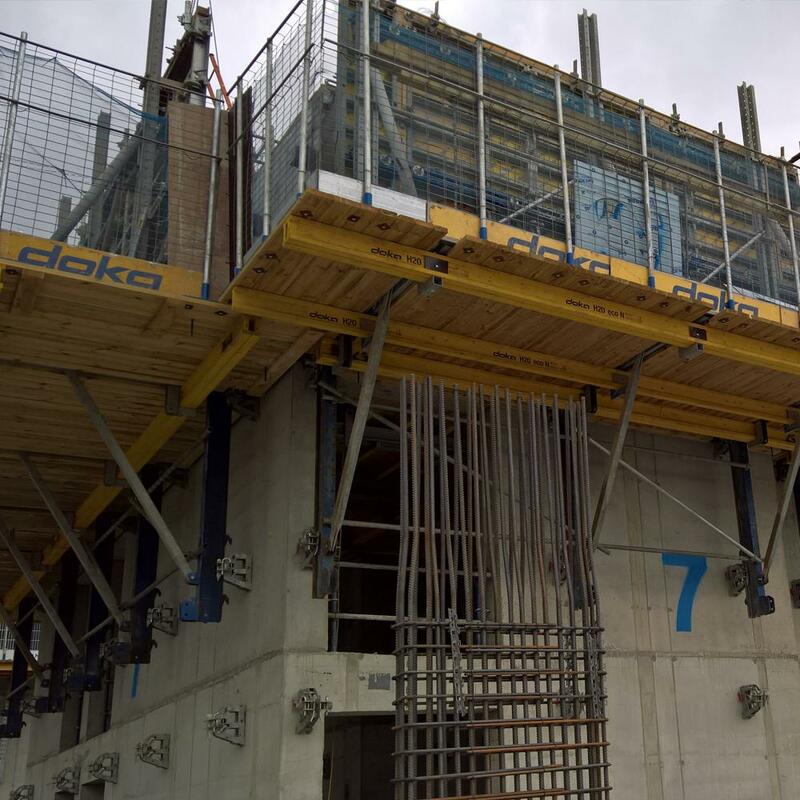 Altogether, Buildings A2 and A3 comprise 5,600 tonnes of reinforcement, 31,000m³ of concrete and 65,200m² of soffit formwork. Thank you for your interest - Wood Wharf A2 A3. 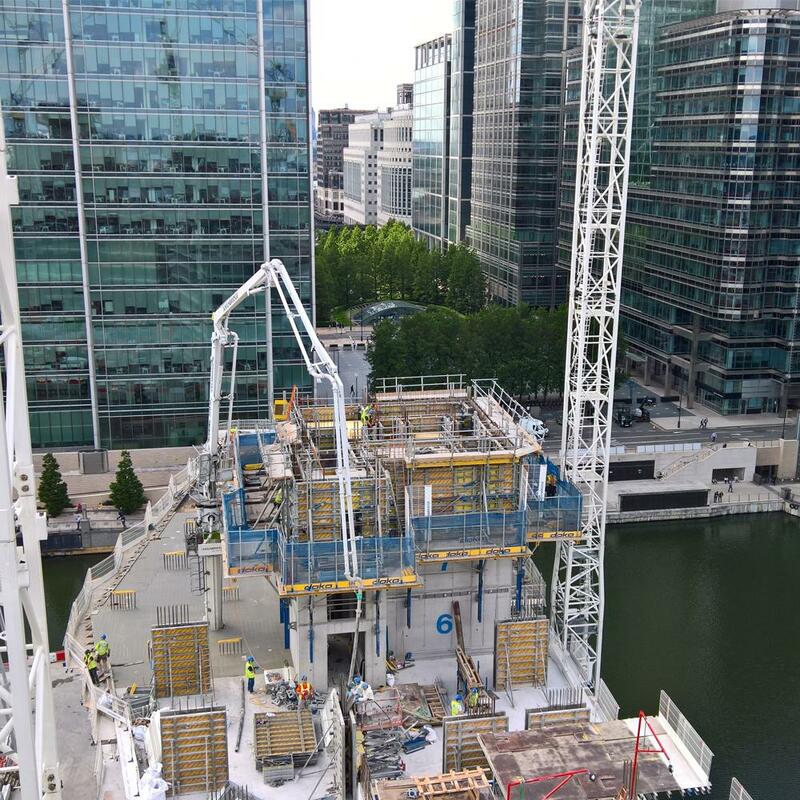 Thank you very much for your interest - Wood Wharf A2 A3.